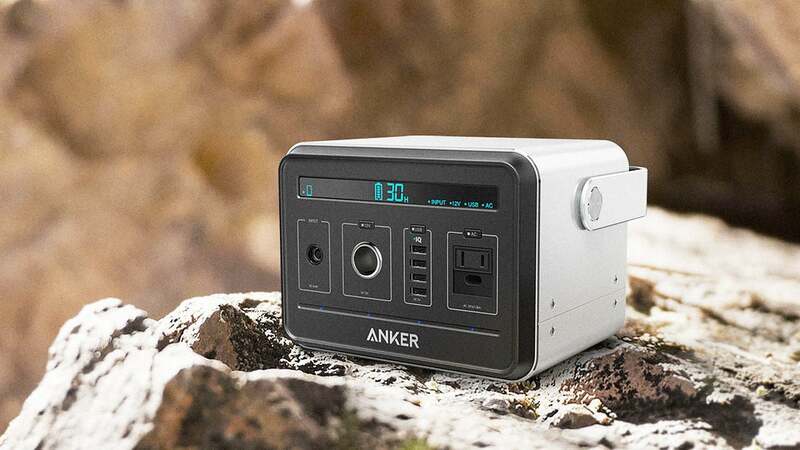 Amazon is offering the insane Anker PowerHouse Compact 400Wh / 120,000mAh Portable Outlet for $399, a 33 percent discount and the lowest price we’ve ever seen. What exactly is this thing? Well, you know those little portable chargers you carry around to give your phone or tablet a little extra juice? Just imagine that but on steroids. This bad boy has a built-in 120,000mAh battery. We don’t know how many times this thing could charge your iPhone, but one thing is for sure: this portable battery could basically run a TV, a lamp, a phone, a tablet, a computer, and even a mini refrigerator all at once. Yea, it’s like that. This is the sort of thing you stash in your house in case of an emergency or maybe you take with you on a camping trip so that you have a ton of power while on the go. It comes with a 12V car socket, an 110V AC outlet (for devices up to 120W) and 4 fast-charging USB ports. Wowza. Still interested? Today’s price is the lowest we’ve seen so get it while you can.